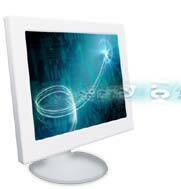 Netizens will access your site using a variety of platforms and browser configurations. Data and images sometimes get jumbled or lost when accessed by hardware/software that is not able to display them properly. Before publishing your pages, we test them using the popular configurations, so that most viewers will see them the way you want them to. "Time", as they say in the Crystal Maze, "is the enemy". If your page takes too long to load, the average netizen will abandon it and skip to the next site. There are ways (besides being hosted on a fast server!) to make your pages load faster ... and we know them. We help you structure the information on your site so that people will find what you have to offer without getting lost or frustrated. We can create games and advertising gimmicks which will keep netizens coming back to your site. We can achieve the image you want to create by the skillful use of page layout, graphic design, illustration and animation. If you chose, we can enhance your site with Real Audio and Real Video. The cost of designing a site will vary with your requirements and objectives. Factors that are taken into account include the actual amount of time spent working on the site, the number of pages and programs. Text updates (within limits) - Free. Registration with Search engines : makes your site visible to anybody searching for information about your product/area of expertise on the Internet. For example, we were amazed to find a dealer for IC's in our city, when we had thought we would have to get in touch with the manufacturer in the U.S. Doing a search on the Internet cut down on our costs of communication and transport, as well as on delivery time! Advertisement banners on other sites with high traffic can point to your site. We would undertake to locate and buy space, but the actual costs will have to be borne by you. Domain Name Registration with InterNic: we handle the formalities involved in registering your domain. This means that you can have your own Web address or "domain name". The actual invoice from InterNic will be forwarded to you for payment. COMPARE if you will, the cost of a complete Internet site, including charges for hosting, design, maintenance, updating and advertising to the cost of an advertisement in a newspaper or magazine. You will find that you have a struck gold. Your Web site will run 24 hours a day, 8 days a week, 365 days a year in Cyberspace. Your paper advertisement will be thrown into the garbage in a day. So don't you think you should.....CONTACT US NOW ? We welcome your comments at webmaster@cornell-enterprises.com.